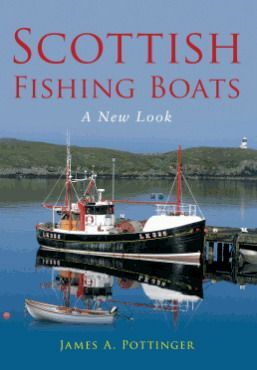 A companion to his successful first book, James Pottinger's new volume looks farther afield, and covers the fishing history of the areas of north-east Scotland, the west coast and Shetland. Topics covered include miscellaneous types from today and the past, pursers, smaller craft, visiting boats and boats which were lost to sea or have been scrapped. A number of older boats are included to illustrate shapes and designs, which are often held to retain a measure of character and individuality, perhaps not as prevalent today.Touching on some of the changes in boat types and fishing methods, as well as changes and developments in design and catching methods, this second selection of images brings the story of Scotland's fishing boats up to date.